Nigerian Air Force to receive first three new JF-17 Thunder fighter jets soon. According to Nigeria's 2018 budget allocation document, N13.1 billion ($36 million) will be allocated as partial payment for three JF-17 fighter jets, support equipment and spares. Nigeria has long been interested in the aircraft produced by Chengdu Aerospace Corporation and Pakistan Aeronautical Complex. 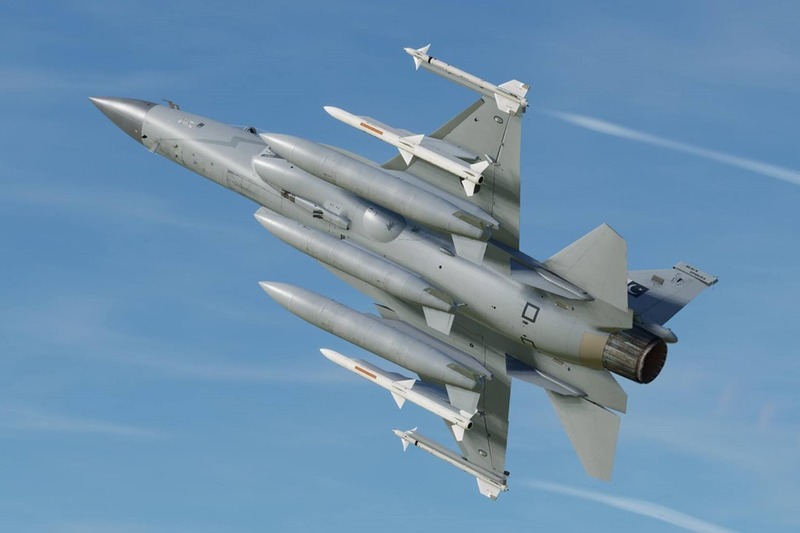 A Pakistani Ministry of Defence official said during the IDEAS 2014 exhibition in Pakistan that Nigeria was close to signing a contract for the jets and that the Nigerian Air Force had finalised its recommendations for the acquisition of 25-40 aircraft. This statement followed the visit of the Nigerian Air Force chief to the JF-17 production facility, october 2014. Nigeria’s Air Force uses seven Mi-24 attack helicopters for counter-insurgency operations as well as 11 F-7 fighter jets, 21 L-39ZA Albatros, 12 MB-339 and 12 Alpha Jet trainer/light attack aircraft. However, the majority of these aircraft are several decades old and have been worn down by attrition. The F-7s are unable to carry precision guided air to surface weapons while the country’s ATR-72 surveillance aircraft are able to detect insurgent activity but not deploy weapons. JF-17 is jointly produced by the Chengdu Aircraft Industries Corporation (CAC) of China and the Pakistan Air Force and Pakistan Aeronautical Complex (PAC). The Pakistan Air Force has 50 JF-17s in service and has been flying the type since 2007, although only officially inducting the aircraft in 2010. The strong interest of the nation to finalize for a new plane started after that Sri Lankan government has publicized its intention to buy eight multi-role fighter aircraft, summer 2017. Sri Lanka is also in talks with Israel Aerospace Industries (IAI) to upgrade its Kfir fighter jets.